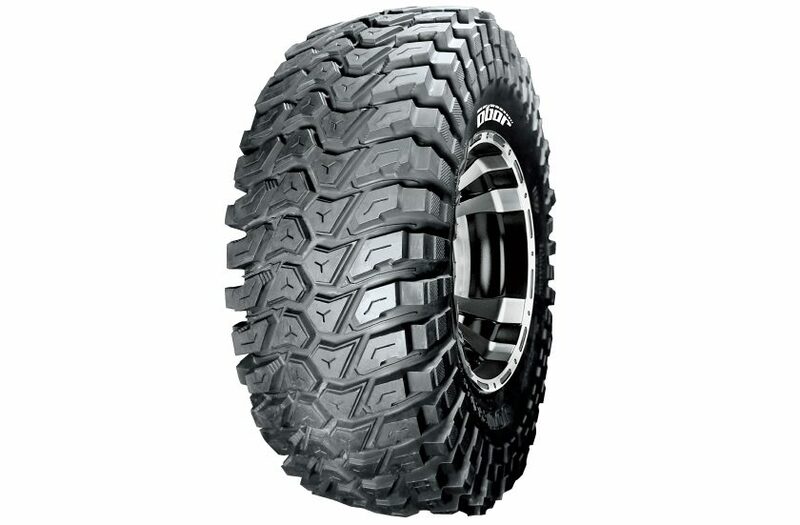 TheClimber is new SxS rock crawling tire that features 8 ply rated radial construction. Soft tread compound optimizes rock gripping. In hardpack and dry sand terrain, it is tested for good steering response and predictable slide. Low void ratio with non-directional tread pattern simulates a LT tire for appearance and performance. High multi-layer sidewall design enhances sidewall traction for rock crawling.